Healthy buying in banking, FMCG and consumer durable stocks lifted the key Indian equity indices on Monday with the BSE Sensex setting a fresh benchmark of 36,749.69 points by the fag end of the day’s trade. Index-wise, the BSE Sensex closed at 36,718.60 points — higher by 222.23 points and 0.61 per cent — from the previous close of 36,496.37 points. As mentioned, the Sensex touched an all-time high of 36,749.69 points, and an intra-day low of 36,491.83 points. The previous record high on Sensex was 36,747.87 hit on July 18. In the broader markets, the S&P BSE mid-cap closed 1.29 per cent higher while the S&P BSE small-cap rose by 0.93 per cent from its previous close. The BSE market breadth was bullish with 1,511 advances against 1,089 declines. “The gains came on the back of the government’s announcement on reduction in goods and services tax (GST) rate on 88 goods and services over the weekend,” said Deepak Jasani, Head, Retail Research, HDFC Securities. Further, according to Abhijeet Dey, Senior Fund Manager for Equities at BNP Paribas Mutual Fund, stock market in India started the week on an upbeat note as sentiments were boosted by the government winning the no-confidence motion in the Lok Sabha on Friday, July 20. On the currency front, the rupee closed at 68.86, depreciating by just one paisa from the previous close of 68.85 per dollar. Investment-wise, provisional data with exchanges showed that foreign institutional investors bought scrip worth Rs 259.37 crore and the domestic institutional investors purchased stocks worth Rs 124.82. Sector-wise, the S&P BSE banking index gained the most, by 291.31 points, followed by the consumer durables index, up 259.97 points and the FMCG rose by 259.95 points. On the contrary, the S&P BSE energy index was the only loser with a decline of 16.54 points from its previous close. 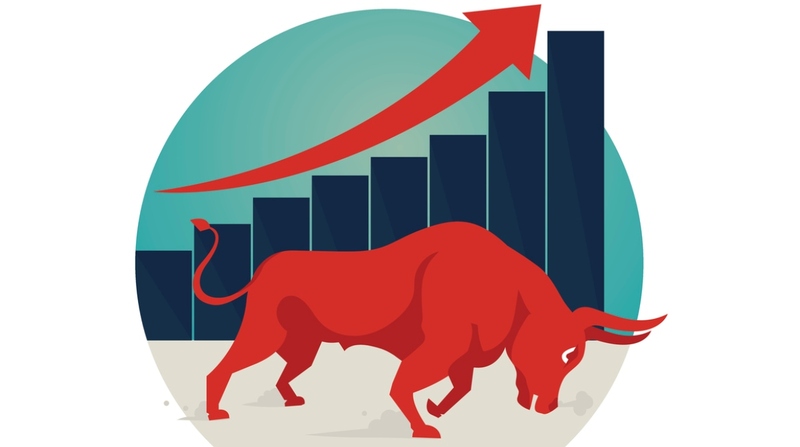 The major gainers on the Sensex were Vedanta, up 4.42 per cent at Rs 211.55; Adani Ports, up 3.83 per cent at Rs 384.05; ITC, up 3.80 per cent at Rs 283.85; Bharti Airtel, up 3.49 per cent at Rs 357.60; and ICICI Bank, up 3.33 per cent at Rs 274.85 per share. The top losers were Hero MotoCorp, down 6.20 per cent at Rs 3,163.90; Bajaj Auto, down 5.35 per cent at Rs 2,689.10; Wipro, down 2.47 per cent at Rs 276.05; HDFC Bank, down 1.48 per cent at Rs 2,157.75; and ONGC, down 0.86 per cent at Rs 156.50 per share.